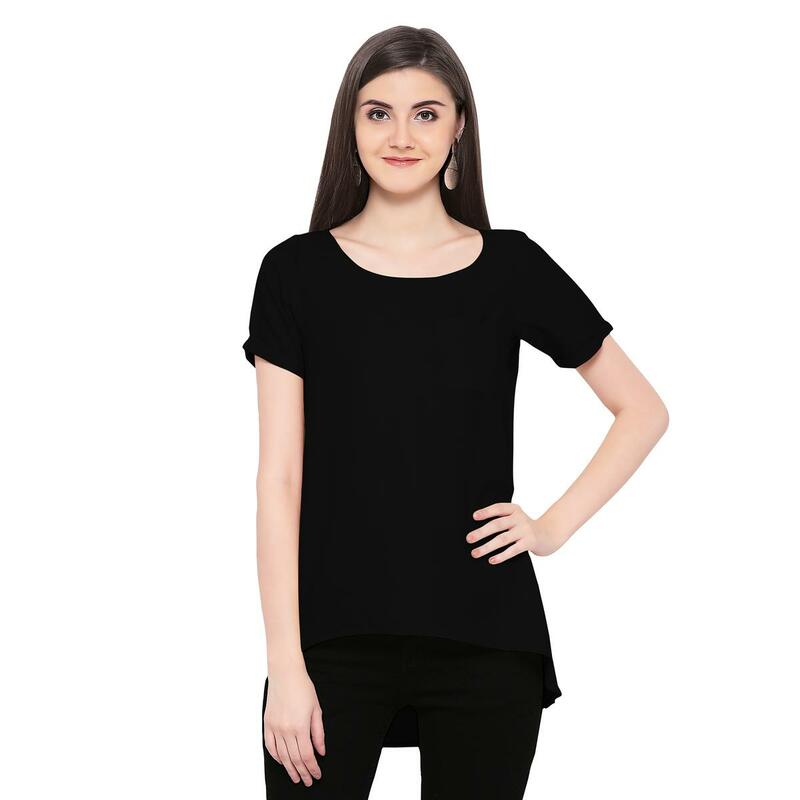 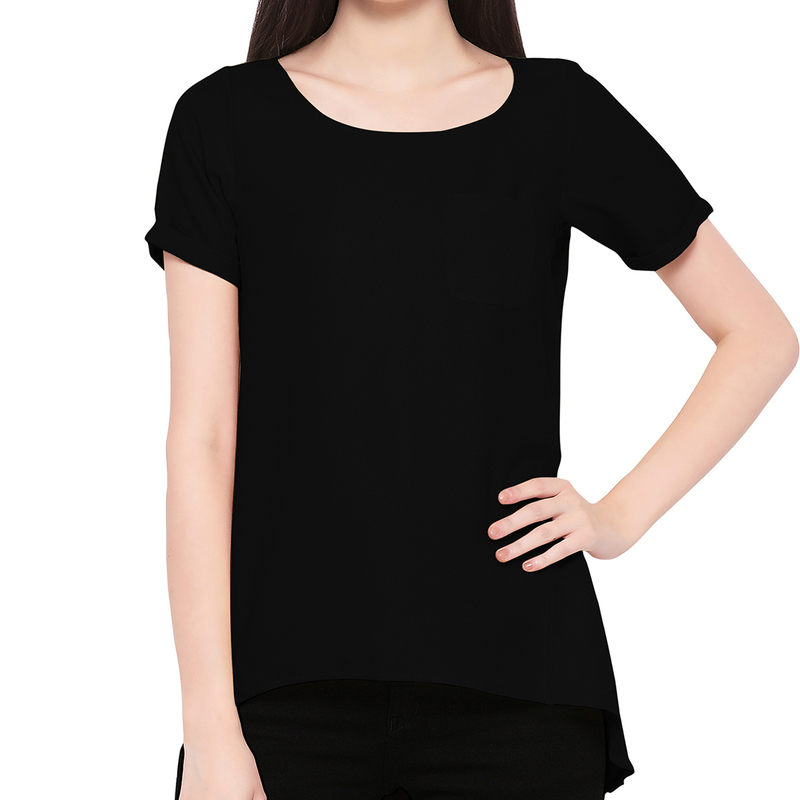 Your savoir faire will be highlighted as you wear this black casual top. Fashioned using moss georgette with round neck & high-low hem this top will keep you at comfort all day long. 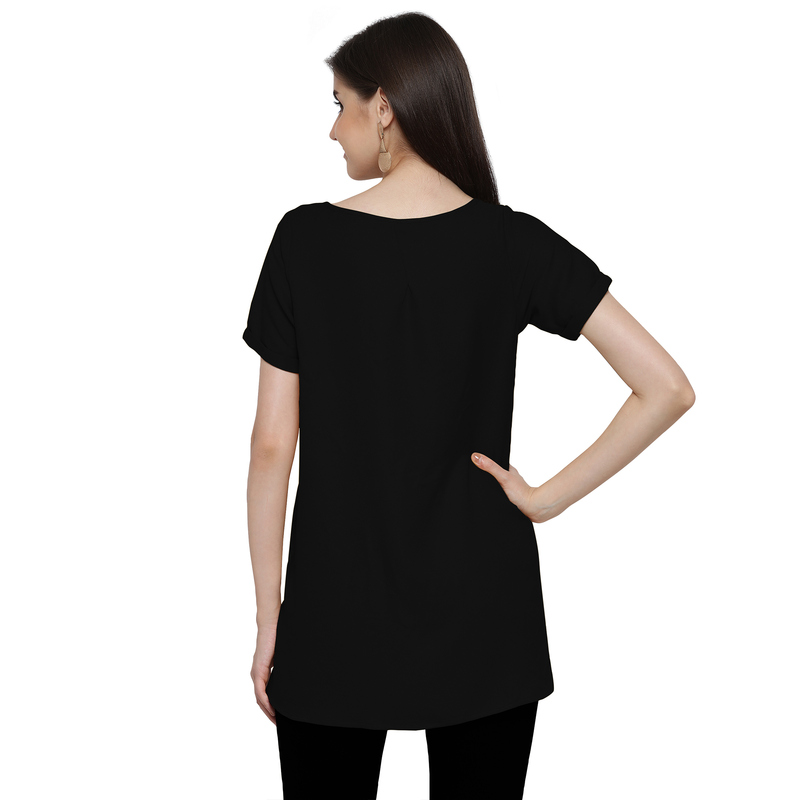 Team it with black coloured shorts for a sassy look.